A thousand miles ago, in a country east of the jungle and south of the mountains, there lived a firework-maker named Lalchand and his daughter, Lila. Lila's learned from her father almost all there is to know about making fireworks. But he's held back the final secret, the most dangerous one, saying Lila's not ready to know. 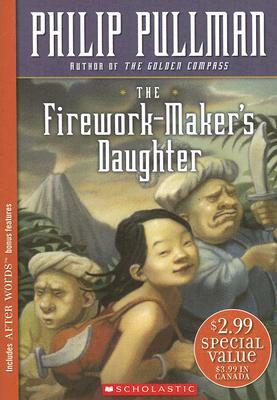 Not to be deterred, the headstrong girl enlists the help of her friend Chulak, and discovers that anyone who wants to be a true Firework-Maker must face down the Fire-Fiend of Mount Merapi, and bring back some of the Royal Sulphur. So Lila sets off fearlessly, ready to face pirates and demons and anything else that gets in her way.